The disposable linear stapler suitable for use in gastric and intestinal surgery, primarily for resection and transection of tissue. 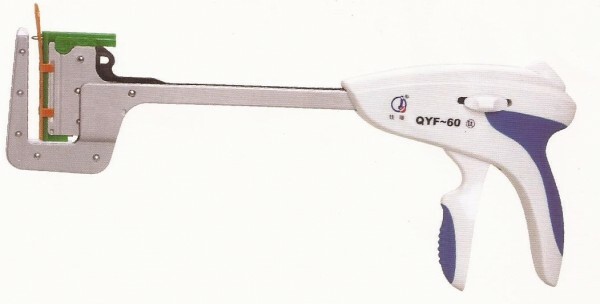 Compared with manual suturing, this type of stapler can shorten the time for surgical procedures and to avoid bleeding. The stapler can reduce the difficulty of the operation and improve the quality of surgery. The soft rubber grip handle ensures firm and comfortable when dispositvo fires. The linear stapler is provided with a titanium staple cartridge.